Workers over the age of 45 log on to Facebook more than any other social media platform to search for career opportunities, according to the 2015 Randstad Award survey. 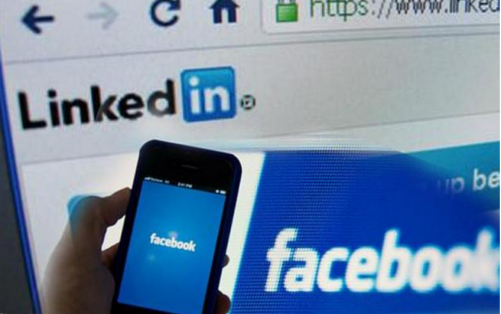 However, LinkedIn still ranks as the top social media channel for jobseekers in Singapore, with 54 per cent of respondents opting for it. 51 per cent voted for Facebook while only 30 per cent chose Google+. The survey also revealed that more young jobseekers, with around one in five 18-24-year-olds, have taken to Twitter and Instagram to find work. The Randstad Award is an annual award that recognises Singapore's most attractive employers. It is based on perceived attractiveness of 75 of the largest commercial companies, by employee size, in Singapore. The online survey was conducted over three and a half months by an independent external research agency among a population of 7,103 people in Singapore. "Singapore tops countries like the USA, New Zealand, Australia and Japan in terms of their workforces' confidence in using social channels to find a job. Social and professional media has become entwined in our daily lives and is an indispensable tool for companies to reach out to potential employees," he said. Jobseekers across different educational backgrounds were also found to have different social media preferences when it comes to job hunting. For example, Facebook is more popular among those with a Bachelor's degree while employees with post-graduate qualifications prefer LinkedIn. Jobseekers who do not have tertiary qualifications use Google+ (44 per cent) twice as much as LinkedIn (23 per cent) to search for opportunities. Similarly the survey also found that seven in ten production workers who use social media channels to find work turn to Facebook, while office workers and managers level job seekers prefer LinkedIn. "With the rapid evolution of technology, employees of all ages and backgrounds now use different tools to find and apply for jobs," Mr Smith said.